MK5 Edition 30 #57 Track/Race Build, Massive Gearbox Update! 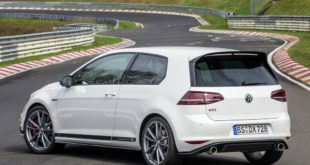 The 310 ps Golf GTI Clubsport S. The fastest production FWD around the ring! Wolfsburg, 17 November 2014: The icing on the cake at the end of the season – the final round of the FIA World Rally Championship (WRC) saw Volkswagen set a new record for the number of wins in one single season. Win number eight of the year for newly-crowned World Rally Champions* Sébastien Ogier/Julien Ingrassia (F/F) presented the Wolfsburg-based manufacturer with its twelfth victory from 13 rallies. Ogier/Ingrassia raced into a commanding lead of over a minute on day one of three in Wales, and were then able to pace themselves intelligently on Saturday and Sunday. Jari-Matti Latvala/Miikka Anttila (FIN/FIN) ended the Rally Great Britain in eighth place, having lost more than three minutes after a mistake on Saturday morning. The extremely difficult conditions in Wales also took their toll on the third Volkswagen duo of Andreas Mikkelsen/Ola Fløene (N/N): they had offs resulting in early retirements on both Friday and Sunday. However, their fightback on Saturday was emphatic proof of what might have been, consisting as it did of five stage wins and four second places in nine stages. The final round of the year also brought the curtain down on what has been a fairy-tale season for Volkswagen. 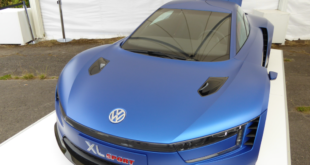 A series of records went to the Wolfsburg-based manufacturer in 2014. The twelfth of a possible 13 wins saw Volkswagen eclipse the previous record of eleven, held by Citroën. Volkswagen also equalled the record eight one-twos in a season, set by Peugeot back in 2002. And there’s more: Volkswagen also wrapped up the title in the Manufacturers’ Championship at the earliest point of the season for 25 years, as well as becoming only the second manufacturer in WRC history to provide all of the top three drivers in the Drivers’ World Championship. Only Lancia had achieved this feat before them – in 1987 and 1988. Not only were Volkswagen’s achievements impressive, but also the manner in which they were achieved: in 2014, Ogier, Latvala and Mikkelsen added a further 197 of a possible 249 stage wins to the success story of the Polo R WRC. In total, 23 podiums went to Volkswagen over the course of the season’s 13 rallies. Since the Polo R WRC made its World Rally Championship debut in January 2013, the powerhouse has racked up 22 victories and 41 podiums in 26 rallies. The Volkswagen drivers clocked the fastest time on 345 of the 486 special stages over the last two seasons. The Rally Great Britain is not only the “Rally of Legends”, but is a legend in its own right. The ubiquitous rain and menacing fog hanging over the forests make for perilous Welsh gravel stages, the likes of which are not experienced anywhere else on the WRC calendar. Smooth in places, mostly muddy, but always slippery, the 70th staging of this classic once again posed an extreme challenge to driver, co-driver and World Rally Car alike. About halfway into the 305.64 kilometres against the clock, a mere 6.6 seconds separated the world champion* and the man who finished runner-up* in the World Championship – the rally in Wales was initially shaped by the same duel that had dominated the 2014 WRC season. The battle between Ogier and Latvala produced no fewer than three of the ten closest WRC finishes in World Championship history, with a fourth only prevented by a slight mistake. Jari-Matti Latvala and Miikka Anttila fell victim to the perilous Welsh mud on Saturday morning, sliding into a ditch on the ninth stage of the rally – and lost over three minutes in the process. They fought back strongly on Sunday, however, winning four of the final day’s six special stages – including the closing Power Stage – to climb from tenth to eighth place. The rally was to prove an emotional rollercoaster for Andreas Mikkelsen and Ola Fløene. Five stage wins and four second places on Saturday were unfortunately offset by crashes on Friday and Sunday. Mikkelsen and Fløene were always one of the cars first onto the route – no easy task at the Rally Great Britain. As such, a dream season ended in disappointment for Mikkelsen/Fløene. However, this does not detract from an otherwise impressive record: Andreas Mikkelsen made five appearances on the podium in 2014, including second places on three different surfaces: ice and snow (Sweden), gravel (Poland) and asphalt (France). Volkswagen continues to dominate the Power Stage, in which extra points towards the Drivers’ and Co-Drivers’ Championship are awarded to the fastest three cars. For the eleventh time in the 2014 season the fastest time was set by a Volkswagen driver. In Great Britain it was the turn of Jari-Matti Latvala to pick up the three bonus points. A Volkswagen driver has picked up at least one extra point on 24 occasions this year. Volkswagen can point to a proud record since joining the championship in 2013: of the 25 Power Stages held in that time, the fastest man was at the wheel of a Polo R WRC on 19 occasions, while the Volkswagen drivers finished in the top three 44 times. The Volkswagen team can look back on what was not only a successful, but also a demanding season, with the three World Championship titles* in the Drivers’, Co-drivers’ and Manufacturers’ competitions as a reward. The 2014 FIA World Rally Championship took team members from 20 nations to 13 rallies in 15 different countries. 4.2 million fans now follow the works team from Wolfsburg on social networks, 101,647 fans were delighted to get their hands on signed autographs of the Volkswagen drivers, while journalists were supplied with information via 703 pages of press releases and 322,488 text messages. In extreme conditions, from sea level up to altitudes of 2781 metres, the temperatures on the special stages ranged from minus 12 to plus 34 degrees Celsius. The turbo chargers in the three 315-hp engines completed 1.3 billion revs between the Rally Monte Carlo and the Rally Great Britain. Sébastien Ogier, Jari-Matti Latvala and Andreas Mikkelsen changed gears in their Polo R WRCs 73,211 times. Using muscle power alone, the mechanics lifted a total of 265 tons moving the roughly 1,100 tyres used. The engineers evaluated about 17.9 gigabytes of data from the year’s 249 special stages – roughly the same as 3.2 million pages of pure text. The team members covered a total of 96,845.99 kilometres as the crow flies between the service parks and the team HQ in Hannover. The equipment for the overseas races travelled a further 46,202.62 kilometres by sea. All with 100 percent team work. … Mikko Hirvonen and Jarmo Lehtinen. The two Finnish M-Sport Ford drivers were contesting their final WRC rally in Wales after a career spanning 13 years. Volkswagen would like to thank them for some exciting battles and two years of fair competition. * Subject to the official publication of the results by the FIA. The XL Sport. Why ‘Bluemotion’ does not have to be boring.